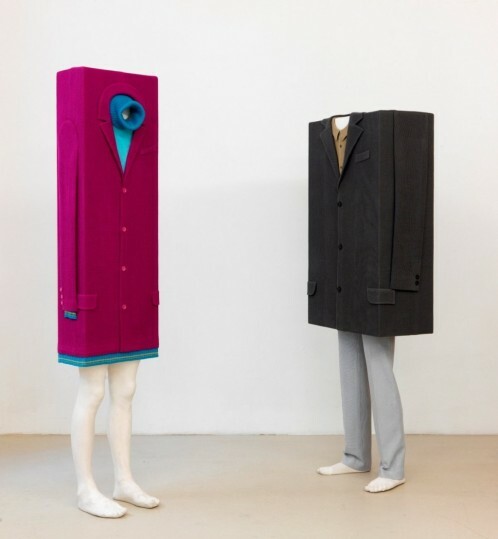 The Kunstmuseum Wolfsburg currently shows Fichte–an exhibition with our former interviewee Erwin Wurm. Providing an overview of Wurm’s artistic career, works on display include the famous “fat” objects, clothing installations as well as One Minute Sculptures. Wurm’s works revolutionized the sculpture world by questioning its prevailing norms. His sculptures wittily play with the common idea of emptiness, volume, weight and balance. They underline everyday absurdity while challenging both codes and contemporary society. In doing so, Wurm also questions the human being in all of his dimensions – physical, spiritual, psychological and political.